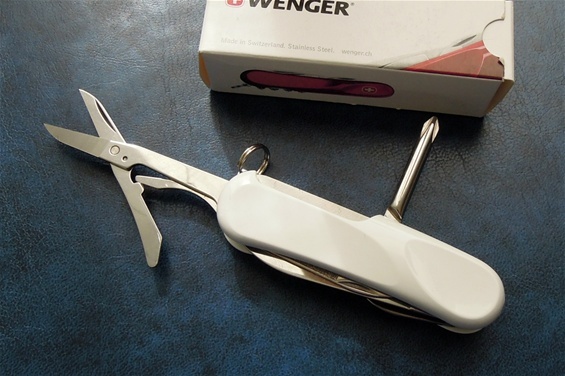 It is time for a new knife and it is a Wenger Evolution 16. What is interesting is that the scales are white. The number on the box is for the usual red Evolution 16. The W has been added on. This is only positive and I have a feeling it is a bit special for sure. 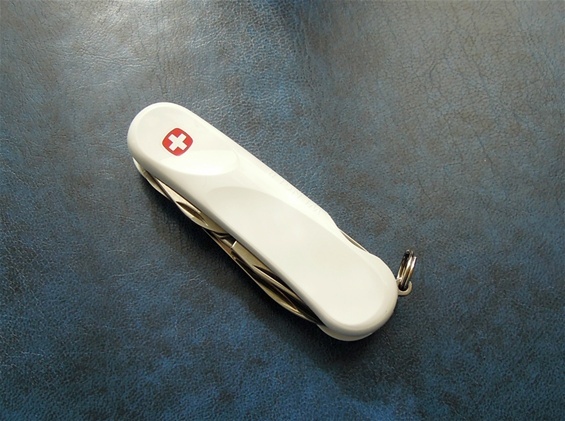 The Evolution 16 is one of the most interesting because it got the scissors and a Phillips screwdriver together with the normal functions you find on the Wenger knives. White handle scales can be an interesting discussion and it does look very nice on a SAK. Some of the most exclusive knives can be white or black. Both got a distinct look that is a bit on the side compared to the red we are used to. Another interesting discussion is the corkscrew compared to the backside Phillips. In the everyday tasks a corkscrew may not be needed as much compared to a Phillips. It is also very comfortable to use. The screwdriver will be placed between the fingers. It will not give the best reach that said, it is very handy to have. It is also possible to use it with different grips as well. Wenger did the unthinkable with the Evolution and performed it all the way. It was not done half the way but all the way.